Alpha-hydroxy acids (AHAs) are a group of plant and animal-derived acids used in a variety of skincare products. These include daily anti-aging products, such as serums, toners, and creams, as well as occasional concentrated treatments via chemical peels. Research on the uses and efficacy of AHAs is extensive. However, out of all the AHAs available, glycolic and lactic acids are the most promising and well researched. These two AHAs are also less likely to cause irritation. Because of this, most over-the-counter (OTC) AHAs contain either glycolic or lactic acid. AHAs are primarily used to exfoliate your skin. In fact, this is the foundation for all of the other benefits AHAs offer. Exfoliation refers to a process where the skin cells on the surface shed off. This helps remove dead skin cells but also makes way for new skin cell generation. As you age, your natural skin cell cycle slows down, which can make dead skin cells build up. When you have too many dead skin cells, they can accumulate and make your complexion look dull. Still, not all AHAs have the same exfoliating power. The amount of exfoliation is determined by the type of AHA you use. 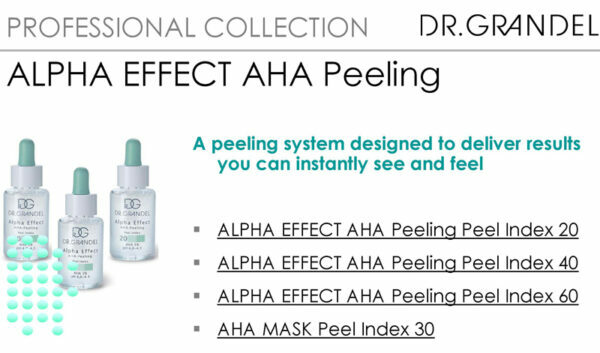 As a rule of thumb, the more AHA’s contained in a product, the more powerful the exfoliating effects.